Double-pointed needles in sustainable wood from the Pony Perfect collection. 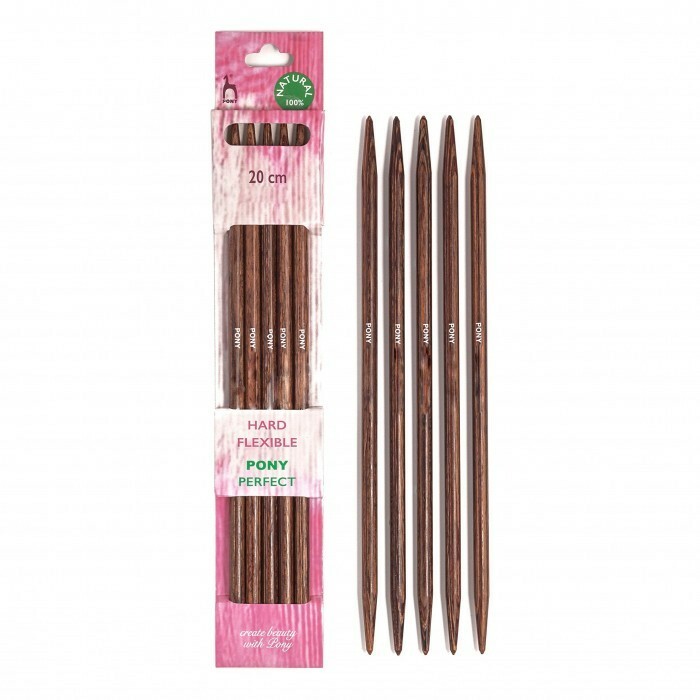 Pony Perfect double-pointed needles are made by compressing three types of wood. Thus, the beautiful play of colors is made completely naturally and without any artificial colors. The choice of wood provides a beautiful, smooth, strong and flexible needle to work with. Pony Perfect gives you a lot of value for your money. 0 - 1.5 - 2.5 - 4 - 6 - 7 - 8 - 9 - 10 - 10.5 - 10.75 and 11 (EU: 2 - 2.5 - 3 - 3.5 - 4 - 4.5 - 5 - 5.5 - 6 - 6.5 - 7 og 7.5 mm).